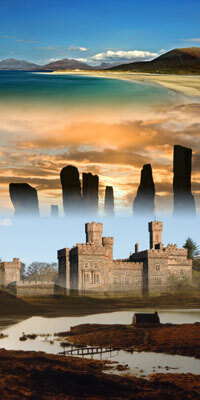 But 'n Ben Holiday Homes | Self Catering Holiday Cottages | Isle of Lewis. Getting to Stornoway could not be easier with Caledonian MacBrayne ferries sailing frequently from Ullapool to Stornoway and flights from Inverness, Glasgow and Edinburgh serving Stornoway Airport on a regular basis. For all your flight information.